« Fire Prevention Week 2017 – Have Two Ways Out! Shuniah (October 26, 2017) – At 4:04pm on Thursday, October 26, 2017, Shuniah Fire & Emergency Services (SFES) received a request for assistance from the Thunder Bay Central Ambulance Communication Centre for a Superior North EMS ambulance requiring assistance. 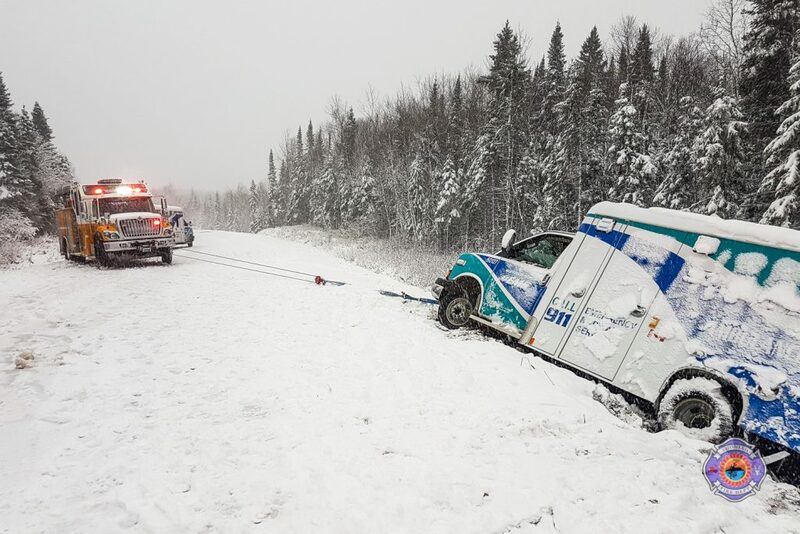 The ambulance was on the way to Thunder Bay with a patient onboard when it became stuck on Highway 527 approximately 62 kilometers north of Highway 11/17. Upon arrival, SFES crews reported the ambulance was on the edge of the road with a step bank, preventing the removal of the patient. Crews also reported very poor road conditions with at least 15 centimetres of wet snow cover. The ambulance was winched and freed in less than an hour, using a pumper, command truck, and another ambulance for additional support. Once the ambulance was freed, the patient was transferred to the other waiting ambulance. 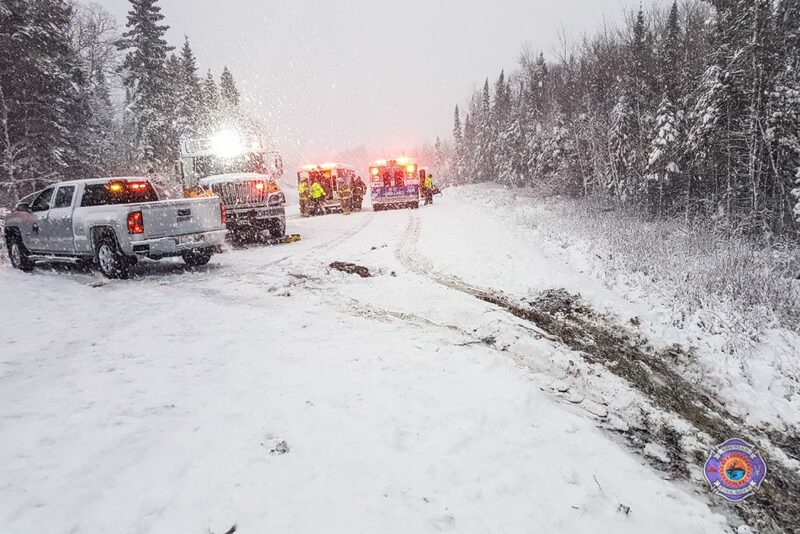 Five SFES firefighters, Ontario Provincial Police, and additional Superior North EMS resources responded to the call with no injuries to report as a result of the incident. All SFES units were back in service at 8:00pm. Superior North EMS ambulance being winched by SFES Pumper 54. Photo by Blair Arthur, Fire Chief.